* The Rhino Fitch was developed to have the softness to paint on smooth surfaces, hold a good amount of paint, keep their snap, but have the stiffness to work on rough surfaces such as coating sandblasted signs and wall lettering and pictorials. * They are great for blending, lettering, stippling, faux finishes, cutting clean lines and pictorial painting on any surface. 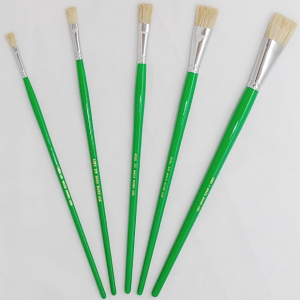 * True to its namesake this brush is tough and durable."